Architect Andrew Todd worked with Jean Nouvel and the legendary director Peter Brook before setting up his own Paris-based practice in 2004. 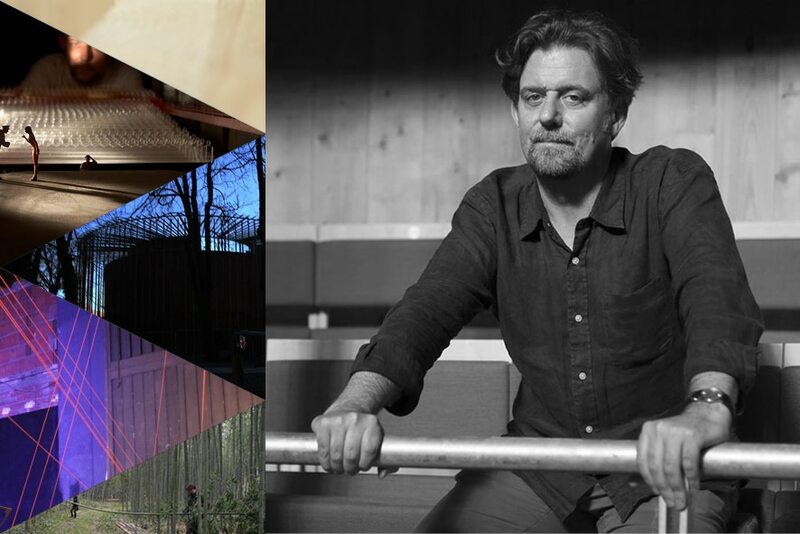 His studio specialises in performance spaces, helping transform the Young Vic Theatre in London (as theatre consultants with Haworth Tompkins Architects, 2006), and designing in-the-round CQS Space for Kevin Spacey at the Old Vic Theatre (2008) and the Silo auditorium and opera house in a former grain silo on the Marseille harbour (2011). Increasingly radical environmentally, the practice’s most recent projects have included a wooden theatre on the banks of the Seine near Paris for Peter Brook’s daughter Irina, and a theatre made of recycled paper bales. Todd was named one of the top 40 under 40 European architects in 2008 and Chevalier de l’Ordre des Arts et des Lettres in 2011. Read Andrews posts at the blog.